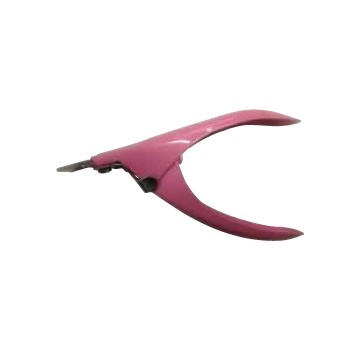 A Dennis Williams Tip Cutter (Matte Pink) can be used to reduce the length of artificial nails on clients, without fracturing or splitting the tip and compromising quality. Not only is it easy to use, but compact, lightweight and very effective. Ideal for false nails. Washable to increase hygiene.